You will receive an email thank you letter to print for your tax records. The V Foundation is a 501(c)(3) organization. All donations are in US dollars and are tax-deductible to the extent permitted by law. 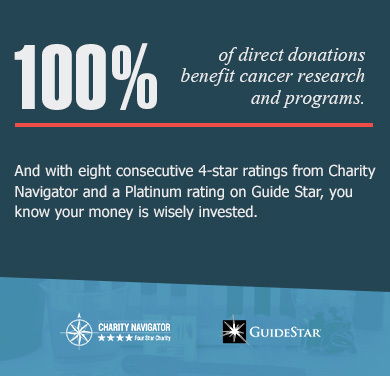 Every single penny of your direct donation will go directly to cancer research. With your help, we will persist and keep the fight alive until we declare Victory Over Cancer®.